Bletchley Park is a nineteenth-century mansion and estate near Milton Keynes in Buckinghamshire, constructed during the years following 1883 for the English financier and politician Sir Herbert Samuel Leon in the Victorian Gothic, Tudor, and Dutch Baroque styles, on the site of older buildings of the same name. It has received latter-day fame as the central site for British (and subsequently, Allied) codebreakers during World War II, although at the time of their operation this fact was a closely guarded secret. During the Second World War, the estate housed the British Government Code and Cypher School (GC&CS), which regularly penetrated the secret communications of the Axis Powers – most importantly the German Enigma and Lorenz ciphers; among its most notable early personnel the GC&CS team of codebreakers included Alan Turing, Gordon Welchman, Hugh Alexander and Stuart Milner-Barry. According to the official historian of British Intelligence, the "Ultra" intelligence produced at Bletchley shortened the war by two to four years, and without it the outcome of the war would have been uncertain. The team at Bletchley Park devised automatic machinery to help with decryption, culminating in the development of Colossus, the world's first programmable digital electronic computer. Codebreaking operations at Bletchley Park came to an end in 1946 and all information about the wartime operations was classified until the mid 1970s. After the war, the Post Office took over the site and used it as a management school, but by 1990 the huts in which the codebreakers worked were being considered for demolition and redevelopment, and the Bletchley Park Trust formed in 1991 to save large portions of the site from developers. More recently, Bletchley Park has been open to the public and houses interpretive exhibits and rebuilt huts as they would have appeared during their wartime operations, as well as The National Museum of Computing, established on the site which includes a rebuilt Colossus machine, and receives hundreds of thousands of visitors annually. The site appears in the Domesday Book as part of the Manor of Eaton. Browne Willis built a mansion there in 1711, but after Thomas Harrison purchased the property in 1793 this was pulled down. It was first known as Bletchley Park after its purchase by Samuel Lipscomb Seckham in 1877. The estate of 581 acres (235 ha) was bought in 1883 by Sir Herbert Samuel Leon, who expanded the then-existing farmhouse into what architect Landis Gores called a "maudlin and monstrous pile" combining Victorian Gothic, Tudor, and Dutch Baroque styles. In 1938, the mansion and much of the site was bought by a builder planning a housing estate, but in May 1938 Admiral Sir Hugh Sinclair, head of the Secret Intelligence Service (SIS or MI6), bought the mansion and 58 acres (23 ha) of land for £6,000, using his own money after the Government said they did not have the budget to do so, for use by GC&CS and SIS in the event of war. A key advantage seen by Sinclair and his colleagues (inspecting the site under the cover of "Captain Ridley's shooting party") was Bletchley's geographical centrality. It was almost immediately adjacent to Bletchley railway station, where the "Varsity Line" between Oxford and Cambridge – whose universities were expected to supply many of the code-breakers – met the main West Coast railway line connecting London, Birmingham, Manchester, Liverpool, Glasgow and Edinburgh. Watling Street, the main road linking London to the north-west (subsequently the A5) was close by, and high-volume communication links were available at the telegraph and telephone repeater station in nearby Fenny Stratford. Bletchley Park was known as "B.P." to those who worked there. "Station X" (X = Roman numeral ten), "London Signals Intelligence Centre", and "Government Communications Headquarters" were all cover names used during the war. The formal posting of the many "Wrens" – members of the Women's Royal Naval Service – working there, was to HMS Pembroke V. Royal Air Force names of Bletchley Park and its outstations included RAF Eastcote, RAF Lime Grove and RAF Church Green. The postal address that staff had to use was "Room 47, Foreign Office". After the war, the Government Code & Cypher School became the Government Communications Headquarters (GCHQ) moving to Eastcote in 1946 and to Cheltenham in the 1950s. The site was used by various government agencies, including the GPO and the Civil Aviation Authority. One large building, block F was demolished in 1987 by which time the site was being run down with tenants leaving. In 1990 the site was at risk of being sold for housing development. However, Milton Keynes Council made it into a conservation area. Bletchley Park Trust was set up in 1991 by a group of people who recognised the site's importance. The initial trustees included Roger Bristow, Ted Enever, Peter Wescombe, Dr Peter Jarvis of the Bletchley Archaeological & Historical Society, and Tony Sale who in 1994 became the first director of the Bletchley Park Museums. Commander Alastair Denniston was operational head of GC&CS from 1919 to 1942, beginning with its formation from the Admiralty's Room 40 (NID25) and the War Office's MI1b. Key GC&CS cryptanalysts who moved from London to Bletchley Park included John Tiltman, Dillwyn "Dilly" Knox, Josh Cooper, and Nigel de Grey. These people had a variety of backgrounds – linguists and chess champions were common, and in Knox's case papyrology. The British War Office recruited top solvers of cryptic crossword puzzles, as these individuals had strong lateral thinking skills. On the day Britain declared war on Germany, Denniston wrote to the Foreign Office about recruiting "men of the professor type". Personal networking drove early recruitments, particularly of men from the universities of Cambridge and Oxford. Trustworthy women were similarly recruited for administrative and clerical jobs. In one 1941 recruiting stratagem, The Daily Telegraph was asked to organise a crossword competition, after which promising contestants were discreetly approached about "a particular type of work as a contribution to the war effort". Denniston recognised, however, that the enemy's use of electromechanical cipher machines meant that formally trained mathematicians would also be needed; Oxford's Peter Twinn joined GC&CS in February 1939; Cambridge's Alan Turing and Gordon Welchman began training in 1938 and reported to Bletchley the day after war was declared, along with John Jeffreys. Later-recruited cryptanalysts included the mathematicians Derek Taunt, Jack Good, Bill Tutte, and Max Newman; historian Harry Hinsley, and chess champions Hugh Alexander and Stuart Milner-Barry. Joan Clarke (eventually deputy head of Hut 8) was one of the few women employed at Bletchley as a full-fledged cryptanalyst. This eclectic staff of "Boffins and Debs" (scientists and debutantes, young women of high society) caused GC&CS to be whimsically dubbed the "Golf, Cheese and Chess Society". During a September 1941 morale-boosting visit, Winston Churchill reportedly remarked to Denniston: "I told you to leave no stone unturned to get staff, but I had no idea you had taken me so literally." Six weeks later, having failed to get sufficient typing and unskilled staff to achieve the productivity that was possible, Turing, Welchman, Alexander and Milner-Barry wrote directly to Churchill. His response was "Action this day make sure they have all they want on extreme priority and report to me that this has been done." After initial training at the Inter-Service Special Intelligence School set up by John Tiltman (initially at an RAF depot in Buckingham and later in Bedford – where it was known locally as "the Spy School") staff worked a six-day week, rotating through three shifts: 4 p.m. to midnight, midnight to 8 a.m. (the most disliked shift), and 8 a.m. to 4 p.m., each with a half-hour meal break. At the end of the third week, a worker went off at 8 a.m. and came back at 4 p.m., thus putting in sixteen hours on that last day. The irregular hours affected workers' health and social life, as well as the routines of the nearby homes at which most staff lodged. The work was tedious and demanded intense concentration; staff got one week's leave four times a year, but some "girls" collapsed and required extended rest. Recruitment took place to combat a shortage of experts in Morse code and German. In January 1945, at the peak of codebreaking efforts, some 10,000 personnel were working at Bletchley and its outstations. About three-quarters of these  were women. Many of the women came from middle-class backgrounds and held degrees in the areas of mathematics, physics and engineering; they were given entry into STEM programs due to the lack of men, who had been sent to war. They performed complex calculations and coding and hence were integral to the computing processes. For example, Eleanor Ireland worked on the Colossus computers. The female staff in Dilwyn Knox's section were sometimes termed "Dilly's Fillies". "Dilly's girls" included Jean Perrin, Clare Harding, Rachel Ronald, and Elisabeth Granger. Jane Hughes processed information leading to the last battle of the Bismarck. Mavis Lever (who married mathematician and fellow code-breaker Keith Batey) made the first break into the Italian naval traffic. She and Margaret Rock solved a German code, the Abwehr break. Many of the women had backgrounds in languages, particularly French and German. Rozanne Colchester was a translator who worked at Bletchley from April 1942 until January 1945, mainly for the Italian air forces Section. Like most of the 'Bletchleyettes', she came from the higher middle class, her father, Air Vice-Marshal Sir Charles Medhurst, being an air attaché in Rome. Before joining Bletchley, Colchester was moving in high circles: “she had met Hitler and been flirted with by Mussolini at an embassy party”, writes Sarah Rainey. She joined the Park because she found it thrilling to fight for her country. Cicely Mayhew was recruited straight from university, having graduated from Lady Margaret Hall, Oxford in 1944 with a First in French and German, after only two years. She worked in Hut 8, translating decoded German Navy signals. Ruth Briggs, a German scholar, worked within the Naval Section and was known as one of the best cryptographers; she married Oliver Churchill of the SOE. For a long time, the British Government didn't recognize the contributions the personnel at Bletchley Park made. Their work achieved official recognition only in 2009. 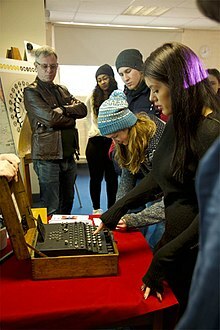 Properly used, the German Enigma and Lorenz ciphers should have been virtually unbreakable, but flaws in German cryptographic procedures, and poor discipline among the personnel carrying them out, created vulnerabilities that made Bletchley's attacks just barely feasible. These vulnerabilities, however, could have been remedied by relatively simple improvements in enemy procedures, and such changes would certainly have been implemented had Germany had any hint of Bletchley's success. Thus the intelligence Bletchley produced was considered wartime Britain's "Ultra secret" – higher even than the normally highest classification Most Secret – and security was paramount. The first personnel of the Government Code and Cypher School (GC&CS) moved to Bletchley Park on 15 August 1939. The Naval, Military, and Air Sections were on the ground floor of the mansion, together with a telephone exchange, teleprinter room, kitchen, and dining room; the top floor was allocated to MI6. Construction of the wooden huts began in late 1939, and Elmers School, a neighbouring boys' boarding school in a Victorian Gothic redbrick building by a church, was acquired for the Commercial and Diplomatic Sections. After the United States joined World War II, a number of American cryptographers were posted to Hut 3, and from May 1943 onwards there was close co-operation between British and American intelligence. (See 1943 BRUSA Agreement.) In contrast, the Soviet Union was never officially told of Bletchley Park and its activities – a reflection of Churchill's distrust of the Soviets even during the US-UK-USSR alliance imposed by the Nazi threat. 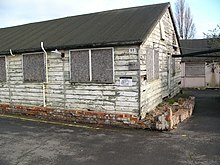 The only direct enemy damage to the site was done 20–21 November 1940 by three bombs probably intended for Bletchley railway station; Hut 4, shifted two feet off its foundation, was winched back into place as work inside continued. Non-naval Enigma messages were deciphered in Hut 6, followed by translation, indexing and cross-referencing, in Hut 3. Only then was it sent out to the Secret Intelligence Service (MI6), the intelligence chiefs in the relevant ministries, and later on to high-level commanders in the field. Naval Enigma deciphering was in Hut 8, with translation in Hut 4. Verbatim translations were sent only to the Naval Intelligence Division (NID) of the Admiralty's Operational Intelligence Centre (OIC), supplemented by information from indexes as to the meaning of technical terms and cross-references from a knowledge store of German naval technology. Hut 4 also decoded a manual system known as the dockyard cipher, which sometimes carried messages that were also sent on an Enigma network. Feeding these back to Hut 8 provided excellent "cribs" for Known-plaintext attacks on the daily naval Enigma key. Initially, a wireless room was established at Bletchley Park. 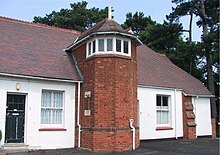 It was set up in the mansion's water tower under the code name "Station X", a term now sometimes applied to the codebreaking efforts at Bletchley as a whole. The "X" is the Roman numeral "ten", this being the Secret Intelligence Service's tenth such station. Due to the long radio aerials stretching from the wireless room, the radio station was moved from Bletchley Park to nearby Whaddon Hall to avoid drawing attention to the site. The wartime needs required the building of additional accommodation. Hut 1: The first hut, built in 1939 used to house the Wireless Station for a short time, later administrative functions such as transport, typing, and Bombe maintenance. The first Bombe, "Victory", was initially housed here. Hut 2: A recreational hut for "beer, tea, and relaxation". Hut 5: Military intelligence including Italian, Spanish, and Portuguese ciphers and German police codes. Hut 7: Cryptanalysis of Japanese naval codes and intelligence. Hut 8: Cryptanalysis of Naval Enigma. Hut 9: ISOS (Intelligence Section Oliver Strachey). Hut 10: Secret Intelligence Service (SIS or MI6) codes, Air and Meteorological sections. Hut 15: SIXTA (Signals Intelligence and Traffic Analysis). Hut 16: ISK (Intelligence Service Knox) Abwehr ciphers. Hut 18: ISOS (Intelligence Section Oliver Strachey). Hut 23: Primarily used to house the engineering department. After February 1943, Hut 3 was renamed Hut 23. In addition to the wooden huts, there were a number of brick-built "blocks". Block B: Italian Air and Naval, and Japanese code breaking. Block C: Stored the substantial punch-card index. Block D: Enigma work, extending that in huts 3, 6, and 8. Block E: Incoming and outgoing Radio Transmission and TypeX. Block F: Included the Newmanry and Testery, and Japanese Military Air Section. It has since been demolished. Block G: Traffic analysis and deception operations. Block H: Tunny and Colossus (now The National Museum of Computing). Bletchley's Polish Memorial, commemorating "the [prewar] work of Marian Rejewski, Jerzy Różycki and Henryk Zygalski, mathematicians of the Polish intelligence service, in first breaking the Enigma code. Their work greatly assisted the Bletchley Park code breakers and contributed to the Allied victory in World War II." Five weeks before the outbreak of war, Warsaw's Cipher Bureau revealed its achievements in breaking Enigma to astonished French and British personnel. The British used the Poles' information and techniques, and the Enigma clone sent to them in August 1939, which greatly increased their (previously very limited) success in decrypting Enigma messages. 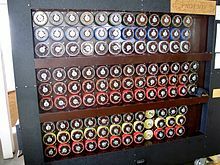 The bombe was an electromechanical device whose function was to discover some of the daily settings of the Enigma machines on the various German military networks. Its pioneering design was developed by Alan Turing (with an important contribution from Gordon Welchman) and the machine was engineered by Harold 'Doc' Keen of the British Tabulating Machine Company. Each machine was about 7 feet (2.1 m) high and wide, 2 feet (0.61 m) deep and weighed about a ton. The Lorenz messages were codenamed Tunny at Bletchley Park. They were only sent in quantity from mid-1942. The Tunny networks were used for high-level messages between German High Command and field commanders. With the help of German operator errors, the cryptanalysts in the Testery (named after Ralph Tester, its head) worked out the logical structure of the machine despite not knowing its physical form. They devised automatic machinery to help with decryption, which culminated in Colossus, the world's first programmable digital electronic computer. This was designed and built by Tommy Flowers and his team at the Post Office Research Station at Dollis Hill. The prototype first worked in December 1943, was delivered to Bletchley Park in January and first worked operationally on 5 February 1944. Enhancements were developed for the Mark 2 Colossus, the first of which was working at Bletchley Park on the morning of 1 June in time for D-day. Flowers then produced one Colossus a month for the rest of the war, making a total of ten with an eleventh part-built. The machines were operated mainly by Wrens in a section named the Newmanry after its head Max Newman. Bletchley's work was essential to defeating the U-boats in the Battle of the Atlantic, and to the British naval victories in the Battle of Cape Matapan and the Battle of North Cape. In 1941, Ultra exerted a powerful effect on the North African desert campaign against German forces under General Erwin Rommel. General Sir Claude Auchinleck wrote that were it not for Ultra, "Rommel would have certainly got through to Cairo". While not changing the events, "Ultra" decrypts featured prominently in the story of Operation SALAM, László Almásy's mission across the desert behind Allied lines in 1942. Prior to the Normandy landings on D-Day in June 1944, the Allies knew the locations of all but two of Germany's fifty-eight Western-front divisions. Italian signals had been of interest since Italy's attack on Abyssinia in 1935. During the Spanish Civil War the Italian Navy used the K model of the commercial Enigma without a plugboard; this was solved by Knox in 1937. When Italy entered the war in 1940 an improved version of the machine was used, though little traffic was sent by it and there were "wholesale changes" in Italian codes and cyphers. Knox was given a new section for work on Enigma variations, which he staffed with women ("Dilly's girls"), who included Margaret Rock, Jean Perrin, Clare Harding, Rachel Ronald, Elisabeth Granger; and Mavis Lever. Mavis Lever solved the signals revealing the Italian Navy's operational plans before the Battle of Cape Matapan in 1941, leading to a British victory. Although most Bletchley staff did not know the results of their work, Admiral Cunningham visited Bletchley in person a few weeks later to congratulate them. On entering World War II in June 1940, the Italians were using book codes for most of their military messages. The exception was the Italian Navy, which after the Battle of Cape Matapan started using the C-38 version of the Boris Hagelin rotor-based cipher machine, particularly to route their navy and merchant marine convoys to the conflict in North Africa. As a consequence, JRM Butler recruited his former student Bernard Willson to join a team with two others in Hut 4. In June 1941, Willson became the first of the team to decode the Hagelin system, thus enabling military commanders to direct the Royal Navy and Royal Air Force to sink enemy ships carrying supplies from Europe to Rommel's Afrika Korps. This led to increased shipping losses and, from reading the intercepted traffic, the team learnt that between May and September 1941 the stock of fuel for the Luftwaffe in North Africa reduced by 90 percent. After an intensive language course, in March 1944 Willson switched to Japanese language-based codes. A Middle East Intelligence Centre (MEIC) was set up in Cairo in 1939. When Italy entered the war in June 1940, delays in forwarding intercepts to Bletchley via congested radio links resulted in cryptanalysts being sent to Cairo. A Combined Bureau Middle East (CBME) was set up in November, though the Middle East authorities made "increasingly bitter complaints" that GC&CS was giving too little priority to work on Italian cyphers. However, the principle of concentrating high-grade cryptanalysis at Bletchley was maintained. John Chadwick started cryptanalysis work in 1942 on Italian signals at the naval base 'HMS Nile' in Alexandria. Later, he was with GC&CS; in the Heliopolis Museum, Cairo and then in the Villa Laurens, Alexandria. Soviet signals had been studied since the 1920s. In 1939–40, John Tiltman (who had worked on Russian Army traffic from 1930) set up two Russian sections at Wavendon (a country house near Bletchley) and at Sarafand in Palestine. Two Russian high-grade army and navy systems were broken early in 1940. Tiltman spent two weeks in Finland, where he obtained Russian traffic from Finland and Estonia in exchange for radio equipment. In June 1941, when the Soviet Union became an ally, Churchill ordered a halt to intelligence operations against it. In December 1941, the Russian section was closed down, but in late summer 1943 or late 1944, a small GC&CS Russian cypher section was set up in London overlooking Park Lane, then in Sloane Square. An outpost of the Government Code and Cypher School had been set up in Hong Kong in 1935, the Far East Combined Bureau (FECB). The FECB naval staff moved in 1940 to Singapore, then Colombo, Ceylon, then Kilindini, Mombasa, Kenya. They succeeded in deciphering Japanese codes with a mixture of skill and good fortune. The Army and Air Force staff went from Singapore to the Wireless Experimental Centre at Delhi, India. In early 1942, a six-month crash course in Japanese, for 20 undergraduates from Oxford and Cambridge, was started by the Inter-Services Special Intelligence School in Bedford, in a building across from the main Post Office. This course was repeated every six months until war's end. Most of those completing these courses worked on decoding Japanese naval messages in Hut 7, under John Tiltman. By mid-1945, well over 100 personnel were involved with this operation, which co-operated closely with the FECB and the US Signal intelligence Service at Arlington Hall, Virginia. In 1999, Michael Smith wrote that: "Only now are the British codebreakers (like John Tiltman, Hugh Foss, and Eric Nave) beginning to receive the recognition they deserve for breaking Japanese codes and cyphers". After the War, the secrecy imposed on Bletchley staff remained in force, so that most relatives never knew more than that a child, spouse, or parent had done some kind of secret war work. Churchill referred to the Bletchley staff as "the geese that laid the golden eggs and never cackled". That said, occasional mentions of the work performed at Bletchley Park slipped the censor's net and appeared in print. With the publication of F. W. Winterbotham's The Ultra Secret (1974) public discussion of Bletchley's work finally became possible (though even today some former staff still consider themselves bound to silence) and in July 2009 the British government announced that Bletchley personnel would be recognised with a commemorative badge. After the war, the site passed through a succession of hands and saw a number of uses, including as a teacher-training college and local GPO headquarters. By 1991, the site was nearly empty and the buildings were at risk of demolition for redevelopment. In February 1992, the Milton Keynes Borough Council declared most of the Park a conservation area, and the Bletchley Park Trust was formed to maintain the site as a museum. The site opened to visitors in 1993, and was formally inaugurated by HRH The Duke of Kent as Chief Patron in July 1994. In 1999 the land owners, the Property Advisors to the Civil Estate and BT, granted a lease the Trust giving the Trust control over most of the site. June 2014 saw the completion of an £8 million restoration project, which was marked by a visit from Catherine, Duchess of Cambridge. The Duchess' paternal grandmother, Valerie, and Valerie's twin sister, Mary (née Glassborow), both worked at Bletchley Park during the war. The twin sisters worked as Foreign Office Civilians in Hut 6, where they managed the interception of enemy and neutral diplomatic signals for decryption. Valerie married Catherine's grandfather, Captain Peter Middleton. The Road to Bletchley Park. Codebreaking in World War One. Intel Security Cybersecurity exhibition. Online security and privacy in the 21st Century. Huts 3 and 6. 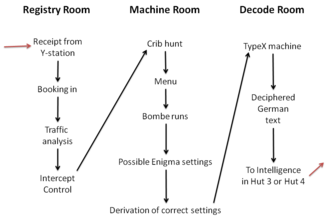 Codebreaking offices as they would have looked during World War II. Pigeon exhibition. 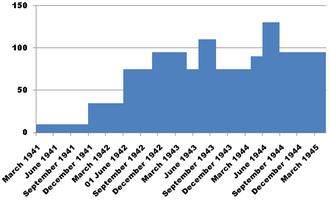 The use of pigeons in World War II. Hut 12. Bletchley Park: Rescued and Restored. Items found during the restoration work. The Bletchley Park Learning Department offers educational group visits with active learning activities for schools and universities. Visits can be booked in advance during term time, where students can engage with the history of Bletchley Park and understand its wider relevance for computer history and national security. Their workshops cover introductions to codebreaking, cyber security and the story of Enigma and Lorenz. In October 2005, American billionaire Sidney Frank donated £500,000 to Bletchley Park Trust to fund a new Science Centre dedicated to Alan Turing. Simon Greenish joined as Director in 2006 to lead the fund-raising effort in a post he held until 2012 when Iain Standen took over the leadership role. In July 2008, a letter to The Times from more than a hundred academics condemned the neglect of the site. In September 2008, PGP, IBM, and other technology firms announced a fund-raising campaign to repair the facility. On 6 November 2008 it was announced that English Heritage would donate £300,000 to help maintain the buildings at Bletchley Park, and that they were in discussions regarding the donation of a further £600,000. In October 2011, the Bletchley Park Trust received a £4.6m Heritage Lottery Fund grant to be used "to complete the restoration of the site, and to tell its story to the highest modern standards" on the condition that £1.7m of 'match funding' is raised by the Bletchley Park Trust. Just weeks later, Google contributed £550k and by June 2012 the trust had successfully raised £2.4m to unlock the grants to restore Huts 3 and 6, as well as develop its exhibition centre in Block C.
Additional income is raised by renting Block H to the National Museum of Computing, and some office space in various parts of the park to private firms. The National Museum of Computing is housed in Block H, which is rented from the Bletchley Park Trust. Its Colossus and Tunny galleries tell an important part of allied breaking of German codes during World War II. 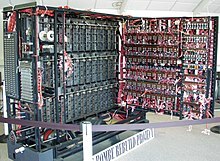 There is a working reconstruction of a Colossus computer that was used on the high-level Lorenz cipher, codenamed Tunny by the British. The museum, which opened in 2007, is an independent voluntary organisation that is governed by its own board of trustees. Its aim is "To collect and restore computer systems particularly those developed in Britain and to enable people to explore that collection for inspiration, learning and enjoyment." Through its many exhibits, the museum displays the story of computing through the mainframes of the 1960s and 1970s, and the rise of personal computing in the 1980s. It has a policy of having as many of the exhibits as possible in full working order. The Colossus and Tunny galleries are open daily. The rest of the museum is open to the public every Thursday, Saturday and Sunday afternoons and most bank holidays, and by appointment for groups only, at other times. There are guided tours on Tuesday and Wednesday afternoons and Thursday morning. There is a modest admission charge to the museum to help cover overheads. This consists of serviced office accommodation housed in Bletchley Park’s Blocks A and E, and the upper floors of the Mansion. Its aim is to foster the growth and development of dynamic knowledge-based start-ups and other businesses. The National Museum of Computing is working with four other organisations – but not Bletchley Park Trust – in a group called Qufaro, to create the National College of Cyber Security. This will be for students between 16 and 19 years of age. It will be located in Block G which is being renovated with funding from the Bletchley Park Science and Innovation Centre. The Radio Society of Great Britain's National Radio Centre (including a library, radio station, museum and bookshop) are in a newly constructed building close to the main Bletchley Park entrance. Bletchley featured heavily in Robert Harris' novel Enigma (1995). A fictionalised version of Bletchley Park is featured in Neal Stephenson's novel Cryptonomicon (1999). The Agatha Christie novel N or M?, published in 1941, was about codebreaking during the Second World War and featured a character called Major Bletchley. Although the book had nothing to do with Bletchley Park, having been written when the purpose of the site was still secret, Christie herself was almost arrested under the belief that the character name and subject matter were a hint to Germany that something was happening there. It turned out to be a coincidence. The film Enigma (2001), which was based upon Robert Harris' book and starred Kate Winslet, Saffron Burrows and Dougray Scott, is set in part in Bletchley Park. The film The Imitation Game (2014), starring Benedict Cumberbatch as Alan Turing, is set in Bletchley Park, and was partially filmed there. The Radio Show Hut 33 is a Situation Comedy set in the fictional 33rd Hut of Bletchley Park. The Big Finish Productions Doctor Who audio Criss-Cross, released in September 2015, features the Sixth Doctor working undercover in Bletchley Park to decode a series of strange alien signals that have hindered his TARDIS, the audio also depicting his first meeting with his new companion Constance Clarke. The Bletchley Park Podcast began in August 2012, with new episodes being released approximately monthly. It features stories told by the codebreakers, staff and volunteers, audio from events and reports on the development of Bletchley Park. The 1979 ITV television serial Danger UXB featured the character Steven Mount, who was a codebreaker at Bletchley and was driven to a nervous breakdown (and eventual suicide) by the stressful and repetitive nature of the work. In Foyle's War, Adam Wainwright (Samantha Stewart's fiancé, then husband), is a former Bletchley Park codebreaker. The Second World War code-breaking sitcom pilot "Satsuma & Pumpkin" was recorded at Bletchley Park in 2003 and featured Bob Monkhouse, OBE in his last ever screen role. The BBC declined to produce the show and develop it further before creating effectively the same show on Radio 4 several years later, featuring some of the same cast, entitled Hut 33. Bletchley came to wider public attention with the documentary series Station X (1999). The 2012 ITV programme, The Bletchley Circle, is a set of murder mysteries set in 1952 and 1953. The protagonists are four female former Bletchley codebreakers, who use their skills to solve crimes. The pilot episode's opening scene was filmed on-site, and the set was asked to remain there for its close adaptation of historiography. Ian McEwan's television play The Imitation Game (1980) concludes at Bletchley Park. The play Breaking the Code (1986) is set at Bletchley Park. Bletchley Park is opposite Bletchley railway station. It is close to junctions 13 and 14 of the M1, about 50 miles (80 km) northwest of London. OP-20-G, the US Navy's cryptanalysis office in Washington, D.C.
^ "Bletchley Park Welcomes 2015'S 200,000th Visitor". Bletchley Park. 26 August 2015. Archived from the original on 2 February 2017. Retrieved 25 January 2017. ^ "Bletchley Park – The House That Helped Save Britain in World War II – Where Enigma Was Decoded". Great British Houses. Retrieved 13 October 2018. ^ "Fenny Stratford Telephone Repeater Station. Erection. A. Cole Ltd". National Archives. Retrieved 13 October 2018. ^ "Could you have been a codebreaker at Bletchley Park?". Telegraph.co.uk. 10 October 2014. Archived from the original on 24 March 2016. Retrieved 25 March 2016. ^ Burman, Annie. "Gendering decryption – decrypting gender The gender discourse of labour at Bletchley Park 1939–1945" (PDF). Archived (PDF) from the original on 6 October 2014. Retrieved 27 October 2013. ^ "Women Codebreakers". Bletchley Park Research. Archived from the original on 30 October 2013. Retrieved 3 November 2013. ^ "Last Surviving Bletchley Park 'Listener' Dies Aged 97". Forces network. 24 October 2017. Retrieved 13 October 2018. ^ a b tanya king says:. "Women Codebreakers". Bletchley Park Research. Archived from the original on 26 November 2016. Retrieved 12 December 2016. ^ a b "The extraordinary female codebreakers of Bletchley Park". Telegraph.co.uk. Archived from the original on 5 January 2017. Retrieved 12 December 2016. ^ "Project MUSE - When Computers Were Women". Muse.jhu.edu. Archived from the original on 22 January 2017. Retrieved 12 December 2016. ^ Copeland, B. Jack; Bowen, Jonathan P.; Wilson, Robin; Sprevak, Mark (2017). "We were the world's first computer operators". The Turing Guide. Oxford University Press. ^ Sebag-Montefiore, Hugh (2004). Enigma – The battle for the code. London: Cassell Military Paperbacks. p. 129. ISBN 0-304-36662-5. ^ a b "The Abwehr Enigma Machine" (PDF). Bletchleypark.org.uk. Archived (PDF) from the original on 9 March 2017. Retrieved 12 December 2016. ^ "Record Detail - Bletchley Park - Roll of Honour". Rollofhonour.bletchleypark.org.uk. Archived from the original on 22 January 2017. Retrieved 12 December 2016. ^ "The Telegraph, The extraordinary female codebreakers of Bletchley Park". Telegraph.co.uk. Archived from the original on 5 January 2017. Retrieved 12 December 2016. ^ "Lady Mayhew | Register | The Times & The Sunday Times". Thetimes.co.uk. 21 July 2016. Retrieved 12 December 2016. ^ Hinsley, Francis Harry (1 January 2001). Codebreakers: The Inside Story of Bletchley Park. Oxford University Press. ISBN 9780192801326. ^ "Women Codebreakers". Bletchley Park Research. 3 October 2013. Archived from the original on 30 June 2016. Retrieved 16 June 2016. ^ Colville 1985, p. 422. ^ Smith 2015, pp. 81-82. ^ Nolan, Cathal J. (2010). "The Concise Encyclopedia of World War II". Greenwood Press. p. 571. ISBN 978-0313330506. ^ a b "Teleprinter Building, Bletchley Park". Pastscape. Retrieved 13 October 2018. ^ Some of this information has been derived from The Bletchley Park Trust's Roll of Honour Archived 18 May 2011 at the Wayback Machine. ^ "Bletchley Park - Virtual Tour". Codesandciphers.org.uk. Archived from the original on 16 March 2016. Retrieved 25 March 2016. ^ "Beaumanor & Garats Hay Amateur Radio Society "The operational huts"". Archived from the original on 11 October 2007. ^ "Virtual Lorenz revealed in tribute to wartime codebreakers at Bletchley Park". Total MK. 19 May 2017. Retrieved 13 October 2018. ^ "jharper.demon.co.uk". Arquivo.pt. 16 May 2016. Archived from the original on 16 May 2016. Retrieved 13 May 2017. ^ Smith, Michael (2011). "The Bletchley Park Codebreakers". Biteback. ISBN 978-1849540780. ^ "July 1941". Bletchley Park. Archived from the original on 17 January 2013. Retrieved 23 February 2013. ^ Smith, Michael. "Mombasa was base for high-level UK espionage operation". coastweek.com. Coastweek. Archived from the original on 15 May 2013. Retrieved 20 June 2013. ^ "Solo Travel Summer Home Preparation". Bellaonline.com. Archived from the original on 11 March 2016. Retrieved 25 March 2016. ^ "Preserving Bletchley Park". Bletchley Park. Retrieved 13 October 2018. ^ Bletchley Park Trust. "Bletchley Park History". Bletchleypark.org.uk. Archived from the original on 2 January 2014. Retrieved 25 March 2016. ^ "Valerie Glassborow, Bletchley Park Veteran and Grandmother of HRH The Duchess of Cambridge". BletchleyPark.org.uk. 17 June 2014. Archived from the original on 1 October 2015. Retrieved 30 September 2015. ^ "Code me, Kate: British royal opens museum at restored WWII deciphering center, Bletchley Park". Fox News. Archived from the original on 6 October 2015. Retrieved 25 March 2016. ^ "Duchess of Cambridge opens Bletchley Park restored centre". BBC News. Archived from the original on 15 October 2015. Retrieved 25 March 2016. ^ "Bletchley Park". Archived from the original on 8 March 2018. Retrieved 8 March 2018. ^ Greenish, Simon; Bowen, Jonathan; Copeland, Jack (2017). 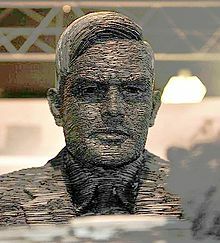 "Chapter 19 – Turing's monument". In Copeland, Jack; et al. (eds.). The Turing Guide. pp. 189–196. ^ Gorman, Jason (16 January 2012). "New Bletchley Park CEO, And A Tribute To Simon Greenish". codemanship.co.uk. UK: codemanship. Archived from the original on 25 January 2018. Retrieved 24 January 2018. ^ "Neglect of Bletchley condemned" Archived 30 September 2009 at the Wayback Machine, BBC News. ^ Tom Espiner (8 September 2008). "PGP, IBM help Bletchley Park raise funds". CNET. CBS Interactive. Archived from the original on 4 November 2012. Retrieved 25 March 2016. ^ "New lifeline for Bletchley Park" Archived 6 September 2009 at the Wayback Machine, BBC News. ^ "Bletchley Park gets £7.4m to tart up WWII code-breaking huts". Theregister.co.uk. Archived from the original on 8 March 2016. Retrieved 25 March 2016. ^ "Bletchley Park Science and Innovation Centre". Bletchleypark.org. Bletchley Park Trust. Archived from the original on 28 May 2013. Retrieved 30 January 2013. ^ "Bletchley Park Science and Innovation Centre". Bpsic.com. Archived from the original on 8 July 2011. Retrieved 7 July 2011. ^ "Colossus Rebuild - Tony Sale". Codesandciphers.org.uk. Archived from the original on 22 March 2016. Retrieved 25 March 2016. ^ "Rise of the machines, south of Milton Keynes". The Register. Archived from the original on 26 January 2018. Retrieved 25 February 2018. ^ "Restoration". National Museum of Computing. Retrieved 13 October 2018. ^ "About us". National Museum of Computing. Retrieved 13 October 2018. ^ "CRS man swaps recruitment for cloud services". Chennel Web. 4 April 2013. Retrieved 12 January 2019. ^ "National Museum of Computing involved in setting up cyber security college". Museums Association. 30 November 2016. Archived from the original on 11 August 2017. Retrieved 13 May 2017. ^ Eleanor Ross. "School for teenage codebreakers to open in Bletchley Park | Technology". The Guardian. Archived from the original on 13 December 2016. Retrieved 12 December 2016. ^ "UK's first National College of Cyber Security to open at historic Bletchley Park". Ibtimes.co.uk. 24 November 2016. Archived from the original on 20 December 2016. Retrieved 12 December 2016. ^ Tom Mendelsohn (25 November 2016). "Cyber college for wannabe codebreakers planned at UK's iconic Bletchley Park". Ars Technica. Archived from the original on 13 December 2016. Retrieved 12 December 2016. ^ David Summer, K1ZZ (October 2012). "RSGB opens showcase for amateur radio at Bletchley Park". QST. The American Radio Relay League. 96 (10): 96. ^ "An Enigma Wrapped in a Mystery". New York Times. 1995. Retrieved 13 October 2018. ^ "Neal Stephenson: Cryptomancer". Locus. 1 August 1999. Retrieved 13 October 2018. ^ "The troubles with time travel in Connie Willis' All Clear". Gizmodo. 10 December 2010. Retrieved 13 October 2018. ^ "Enigma". IMDB. Retrieved 13 October 2018. ^ "The Imitation Game". IMDB. Retrieved 13 October 2018. ^ "Hut 33". BBC. Archived from the original on 19 November 2016. Retrieved 30 August 2016. ^ "Criss-Cross". Big Finish. Retrieved 13 October 2018. ^ "Bletchley Park". Audioboom. Retrieved 13 October 2018. ^ "Review: Danger UXB - The Heroic Story of the WWII Bomb Disposal Teams". Daily Express. 23 July 2010. Retrieved 13 October 2018. 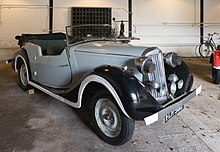 ^ "Honeysuckle Weeks describes life on the Foyle's War set". foyleswar.com. 13 August 2013. Archived from the original on 14 November 2015. Retrieved 11 November 2015. ^ "Bios: Adam Wainwright". foyleswar.com. Archived from the original on 7 November 2015. Retrieved 11 November 2015. ^ "Honeysuckle Weeks opens her diary to share her secrets from the set of the new series of Foyle's War - including a bizarre offer for co-star Michael Kitchen..." Daily Mail. 15 March 2013. Archived from the original on 19 November 2015. Retrieved 11 November 2015. ^ "BBC Radio 4 — Comedy — Hut 33". BBC. Archived from the original on 1 July 2009. Retrieved 13 September 2009. ^ Youngs, Ian (19 March 2004). "Bob Monkhouse's last laugh". BBC News. ^ "Station X: The Codebreakers of Bletchley Park". British Universities Film and Video Council. Retrieved 13 October 2018. ^ Hollingshead, Iain (4 September 2012). "What happened to the women of Bletchley Park?". The Daily Telegraph. London. Archived from the original on 9 August 2018. Retrieved 3 April 2018. ^ Shaw, Malcolm. "Bletchley Park drama to air on television". ITV. Archived from the original on 11 September 2012. Retrieved 6 September 2012. ^ "The Imitation Game". TV Cream. Retrieved 13 October 2018. ^ "The Secret War (1977 BBC WW2 documentary)". Simply Media. Retrieved 13 October 2018. ^ "Welcome". Bletchley Park. Retrieved 13 October 2018. Colville, John (1985). Fringes of Power: Downing Street Diaries, 1939-1945. London: Hodder and Stoughton. p. 422. Hilton, Peter (1988), Reminiscences of Bletchley Park, 1942–1945 (PDF), pp. 291–301, retrieved 13 September 2009 (CAPTCHA) (10-page preview from A Century of mathematics in America, Volume 1 By Peter L. Duren, Richard Askey, Uta C. Merzbach, see http://www.ams.org/bookstore-getitem/item=HMATH-1 ; ISBN 978-0-8218-0124-6). Welchman, Gordon (1997) , The Hut Six story: Breaking the Enigma codes, Cleobury Mortimer, England: M&M Baldwin, ISBN 9780947712341 New edition with addendum by Welchman correcting his misapprehensions in the 1982 edition. Wikimedia Commons has media related to Bletchley Park.